Also amenable to flotation are fine coal and other minerals such as fluorspar, glass sand, barite, pyrite, talc, and iron oxide. In theory, flotation can be employed for the separation of any slurry containing particles that are sufficiently liberated. 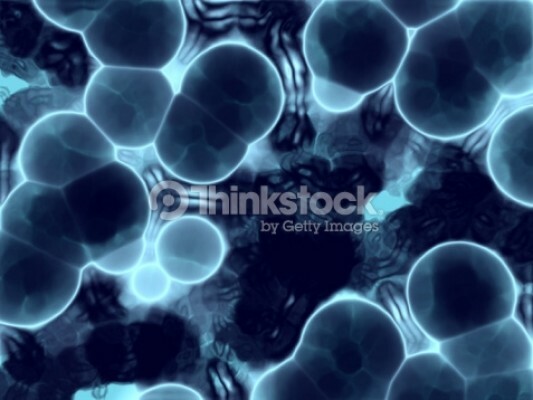 Particles ranging in size from 0.5mm down to a few microns are responsive to flotation. Ore size reduction to achieve target mineral value liberation and adequate particle size for flotation. Making particle surface chemistry and flotation bubble hydrodynamic conditions favourable for the adherence of the desired minerals to rising air bubbles in the flotation cell. Allowing a froth layer containing the captured target minerals on the flotation cell surface. The froth upgrades as the bubbles rise through the froth bed, the undesirable and insufficiently liberated particles drain back to the flotation cell slurry. Mineral flotation is a probabilistic process. At each step in the particle recovery process there is only a probability for an action to take place, such as a particle and bubble encounter leading to adherence of the particle to the bubble. Consequently, many possible occurrences are required before an action actually occurs. Greater amenability and flotation kinetics means that the probabilities are higher that individual flotation steps will result in the action desired. This is impacted by the overall process system conditions and interactions as well as the chemistry and flotation reagent conditions. From an engineering principles perspective, flotation is affected by all the potential system conditions and variables, some more than others. Due to the fact that these are generally interactive, changes in a variable may only be successfully compensated by corresponding adjustments in the others. Successful flotation operational results require continual adjustment to changing conditions. Often key to achieving optimum metallurgy is the flotation reagent suite employed. In order to achieve optimum flotation performance, reagents must be managed insofar as dosage, application point and even type. Because reagents can have a significant impact on results, identification of the optimum reagent suite should be re-evaluated at least periodically as changing conditions mean reagent changes to maintain high levels of flotation performance. The desired mineral particles must be made hydrophobic and the undesired particles hydrophilic. Hydrophobicity (water hating – air loving) is a surface chemistry condition that makes those targeted particles more likely to adhere to passing air bubbles in the slurry. Hydrophilic particles (water loving – air hating) are far less likely to adhere to the air bubbles. Flotation reagents adsorb on targeted mineral surfaces, making those hydrophobic. Choice and selection of the appropriate reagent chemistry is important for achieving the desired mineral recovery and selectivity. Additional chemicals are important for modifying the mineral surfaces and so control flotation selectivity and recoveries. Surfactants provide the appropriate hydrodynamic and surface tension properties to allow particle adherence to bubbles and provide the necessary froth drainage and mineral carrying capacity in the froth bed. The above two conditions are controlled by collectors and frothers. Proper flotation performance ideally should be collectors providing selected mineral hydrophobicity and the frothers providing the frothing capabilities. Since collectors are also surfactants, some degree of frothing is obtained from collectors. But this can be controlled by using high quality collectors that have minimal unreacted raw materials or reaction products from manufacture. Modifiers are a third class of flotation reagents that have one or more functions, such as controlling pH, modifying pulp chemistry conditions, changing the particle surface characteristics, altering the surface charge, or changing the pulp fluidity character. 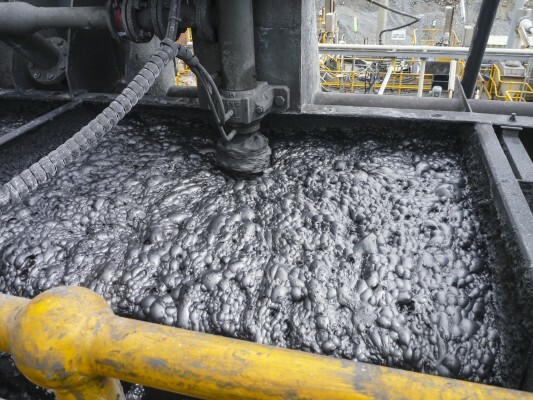 Altering the slurry and particle surface chemistry conditions can be quite important for some ores and mineral systems. Flotation collectors are the heart of the flotation process as these selectively make the desired mineral surfaces hydrophobic. Collector molecules are bipolar molecules consisting of polar (charged) and non-polar (uncharged) functional components. The polar component is hydrophilic and has an ionic charge or is reactive so the molecule is either ionically or chemically adsorbed respectively on the target mineral surface. Despite over a century of research and technological advances, flotation is still in many respects considered an ‘art’ rather than science. Much science and technology is applied to defining the flotation mechanisms and conditions needed to effect separations. And modelling has significantly enhanced system predictive abilities, particularly the rate of flotation (kinetics). Considerable application experience that provides guiding principles in the selection and use of flotation reagents is nonetheless required. Reagent selection, chemical suite combinations and flow sheet design must be tailored to each specific ore. There are a myriad number of interdependent variables that impact flotation, which are beyond the predictive capabilities of science. Empirical work is the basis for any flotation development and optimisation work and application of statistical tools are necessary. The process variables include identity of the value and the gangue minerals, their relative amounts, degrees of liberation, particle sizes and factors, which affect the overall economic viability of the operation (capital and operating costs, feed grade, concentrate grade, extent of grinding, etc.). Selective single collectors or reagent combinations including with xanthates often enhance mineral recovery and/or improve flotation kinetics. From a process engineering standpoint, collectors may be used to either maximise high value mineral recoveries or high grade concentrates. Typically initial flotation stages focus on recovery maximisation, which also provides the benefit of reducing concentrate tonnage and smaller process sizes. Subsequent flotation steps then focus on upgrading this intermediate concentrate product to saleable concentrate grade. Separate collectors may be used in each flotation step to effect the separations desired and needed depending on the strategy for that stage, such as roughing, scavenging and cleaning. 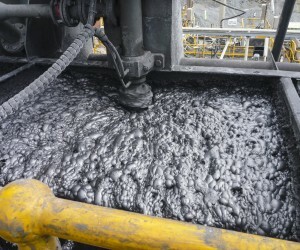 Depending on the ore types and challenges presented by conditions, instead of just floating a specific target mineral(s) into a concentrate product, bulk flotation is used to float more than one target mineral value and then a differential flotation step is used to separate these different mineral values. Modifiers are used to depress one of the values in the differential flotation step that allow separation of these values into separate concentrate products for sale. Differential flotation is typically used in mixed sulphide ore situations, i.e. Pb-Zn, Cu-Pb-Zn, Cu-Mo, Cu-Co, Cu-Zn and Cu-Ni. The attached Danafloat™ information sheets provide brief reagent use guidelines for different sulphide mineral ores. However, because flotation metallurgy is part engineering and part ‘art’, the optimum chemical suite can only be established after laboratory and plant testing at each mine.